The Micromax Bolt Q325 is a smartphone for the budget segment. It is an affordable phone but it has several flaws as well. The low price also comes with low RAM and battery life. Buy this device only if you have don’t have much expectations and only buying it for basic smartphone functions. Of course, it would be unfair to expect too much at such a low price. 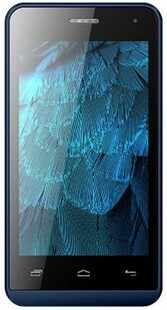 The Micromax Bolt Q325 price in India starts at Rs 3090, which is quite an affordable price tag. Let’s take a look at the Micromax Bolt Q324 specifications categorized in Pros and Cons. The phone is quite compact and easy to carry around in your pocket, thanks to the 4-inch display. To capture all your special moments there is a 3.2MP rear camera. It is equipped with digital zoom and LED flash so that you can click pictures in the dark. There is an ample space to store all your audio and video files. The device has 32GB of storage space. The phone supports 3G along with other connectivity options like Wi-Fi, EDGE, and GPRS. Since the phone has only 512MB RAM, you can only run one application at a time. Gaming on this would lag at times. It won’t be a pleasure. Android 4.4.2 Kitkat OS based user interface that runs the device, this is an outdated OS. You will have to keep charging the phone since the 1000mAh battery is not sufficient for day to day use. Micromax Bolt Q325 full specs and reviews as of Apr 2019. Buy it here!